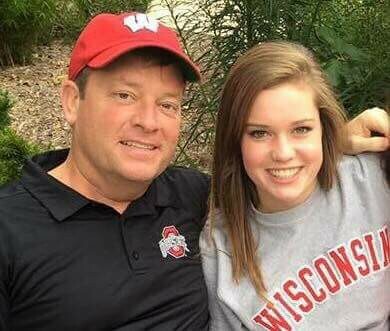 A University of Wisconsin–Madison freshman is among the six people missing and feared lost after a private plane crashed in Lake Erie near Cleveland on Dec. 29. Megan Casey, 19, of Powell, Ohio, had been attending the Cleveland Cavaliers game with her father Brian and four neighbors from the Columbus area. The group was returning home when their twin-engine plane apparently crashed into the lake shortly after takeoff. The plane has not yet been recovered, but the U.S. Coast Guard is continuing the search for the missing plane after baggage and debris washed up on shore. During her time on campus, Megan was a resident of University Housing and participated in a sorority. Before coming to Madison, she attended Olentangy Liberty High School in Powell, Ohio. “Our family greatly appreciates the dedicated efforts of the rescue and recovery teams, and we are especially thankful for the outpouring of support thoughts and prayers from family, friends and the community,” the statement reads. If you are a student in need of counseling or crisis support as a result of this or any other situation, call University Health Services Counseling and Consultation Services at (608) 265-5600 or drop-in between the hours of 9 a.m. and 4 p.m., Monday through Friday. If you need immediate assistance after hours or on weekends, please call the UHS Crisis Line at (608) 265-5600, option 9.